If you are already a member of The Gym Group, why not ask your your branch if they do civil service or NHS corporate discounts. Mine was £17.99 and reduced to £13.99. Every branch is different. But worth a shot to ask. They're also a very good gym, not sure if mine is typical but they're open 24/7 including (usually) all bank holidays, christmas. New Year. All classes are free. No joining fee, you can suspend your membership when you want. £17.99 seems very high? Mine is £15.99.Mine is less as I joined a long time ago. They're also a very good gym, not sure if mine is typical but they're open …They're also a very good gym, not sure if mine is typical but they're open 24/7 including (usually) all bank holidays, christmas. New Year. All classes are free. No joining fee, you can suspend your membership when you want. £17.99 seems very high? Mine is £15.99.Mine is less as I joined a long time ago. Price seems to depend on location. I joined when there was no joining fee. It's also 24/7. Price definitely depends on location because mine is £11.99 a month (after discount ofc). It's quite interesting to look at their site. They became a plc in 2015 and the number of gyms they own has grown greatlly in the last few years. The price of mine has been going up. I thought maybe they were a franchise but it appears not. They're introducing new equipment at my gym. it's also becoming quite crowded at times. There is a physical limit to the number of people that can be accomodated in a fixed space. I hope they don't introduce any radical changes. My local The Gym Group claims to be 24hours but no access to the free weights sections between 10pm and 6am! To top it off the ceiling leaks when it rains and the flooring is uneven. Google reviews are 2.8 out of 5 stars says it all tbh. They took over from easygym that was run down, same equipment, same issues. They were closed for 2 months 'renovating' the place and only thing different in there is the walls they are black now not orange lol. Should be called The Joke Group. I was with them last year, stopped membership, got email few weeks back they'll do it for £12.99 if I come back, so would they did out it more if I was a nhs staff? I was with them last year, stopped membership, got email few weeks back …I was with them last year, stopped membership, got email few weeks back they'll do it for £12.99 if I come back, so would they did out it more if I was a nhs staff? 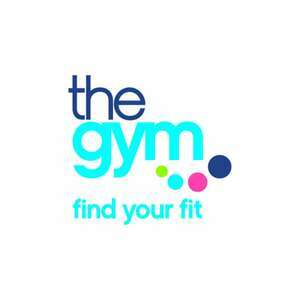 My local The Gym Group claims to be 24hours but no access to the free …My local The Gym Group claims to be 24hours but no access to the free weights sections between 10pm and 6am! To top it off the ceiling leaks when it rains and the flooring is uneven. Google reviews are 2.8 out of 5 stars says it all tbh. They took over from easygym that was run down, same equipment, same issues. They were closed for 2 months 'renovating' the place and only thing different in there is the walls they are black now not orange lol. Should be called The Joke Group. One crap gym doesn't reflect the quality of the entire chain though. Anybody who is put off by this comment, Gym Group Gyms are contact free, so you can cancel your membership at anytime without fees if the standard of your local is not acceptable for you. You can also buy a day pass if you want to check it out before signing up. Mine offers free day passes fairly frequently throughout the year for members to give to friends and family so might be worth asking folk you know if there's any deals on. Also upgraded members can bring a non-member friend 4 times a month so with asking mates about that too. In my personal experience I've been to 2 Gym Group Gyms, one is in a retail park unit, the other was an old supermarket building, they both had the same range of equipment more or less and neither was leaky except one time where high winds damaged the roof of the retail park one, which was closed for repair and reopened in about 2 days with no visible damage inside. One crap gym doesn't reflect the quality of the entire chain …One crap gym doesn't reflect the quality of the entire chain though.Anybody who is put off by this comment, Gym Group Gyms are contact free, so you can cancel your membership at anytime without fees if the standard of your local is not acceptable for you. You can also buy a day pass if you want to check it out before signing up. Mine offers free day passes fairly frequently throughout the year for members to give to friends and family so might be worth asking folk you know if there's any deals on. Also upgraded members can bring a non-member friend 4 times a month so with asking mates about that too.In my personal experience I've been to 2 Gym Group Gyms, one is in a retail park unit, the other was an old supermarket building, they both had the same range of equipment more or less and neither was leaky except one time where high winds damaged the roof of the retail park one, which was closed for repair and reopened in about 2 days with no visible damage inside. You obviously missed the first bit of my message 'My Local The Gym Group'. I didn't say all the gyms are like that. I've been to 2 of their Gym's and the experience hasn't been good IMO which I'm entitled to share. Lastly no-one is gonna be put off by my comment...people tend to check reviews before joining anyway. Did you miss the last bit of your comment where you referred to them as "The Joke Group"? Your opinion on this case is pretty worthless without mentioning the locations you've used. Did you miss the last bit of your comment where you referred to them as …Did you miss the last bit of your comment where you referred to them as "The Joke Group"? Your opinion on this case is pretty worthless without mentioning the locations you've used. My opinion is helping alot of people on Google where it matters. My Google review Stats: 2,440 views, 56 thumbs up.